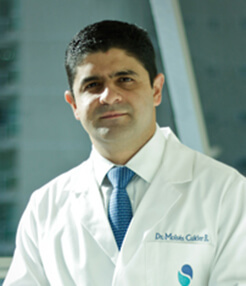 Dr. Cukier received his MD from the University of Panama in 2003. After completing his training in General Surgery in Panama in 2010, he moved to Canada and completed a clinical fellowship in Surgical Oncology at the University of Toronto in 2012. He is the co-editor of the Manual of Surgical Oncology (Department of Surgery, University of Toronto) and the General Surgery Manual (University of Panama). Author of several chapters and papers in manuals and peer-reviewed journals.